FaithPointe Church exists to offer you a future and a hope. 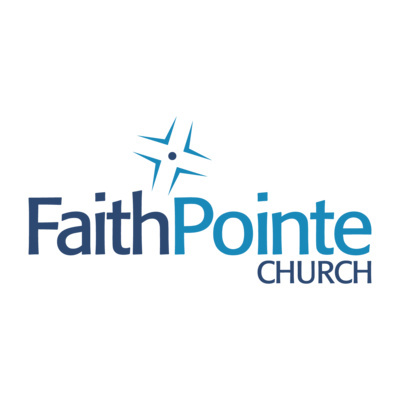 Wherever you are in life, you have a purpose, at FaithPointe, we want to help you become the person God created you to be. We pray that this podcast is the first step or the next step towards that future. Speaker: Ps Peter Morton. Scripture: Hebrews 11:1. Description: Ps Peter Morton from The River Church shares keys to how to grow in faith and believe God for greater things! Who we are determines what we see, which determines what we do! Speaker: Samu Barakuta. Scripture: John 3:16. Description: It is important of you today to make your Decision and choose your Destiny. This morning Ps Samu shares a bit of his story and the choices he made to become a follower of Christ. Speaker: Susana Barakuta Scripture: Deuteronomy 11:13. Description: As Christians we should all want to be a faithful servant of God. How do you become a faithful servant of God? Susana shares with us 4 important steps to help us become Faithful Servants. Speaker: James Anson. Scripture: Matt 21:12-17. Description: The first church was a powerhouse. People daily coming to Christ, miracles taking place, people selling their goods to help the needy. But in the center was prayer! Prayer that moved the have of God. Pastor James shares how the third comes to Rob our prayer life and what we can do about changing that. Speaker: James Anson. Scripture: Acts 2:42. Description: The four pillars of the early church were common to the gatherings of the early disciples. Apostles teaching, Fellowship, Breaking of Bread and Prayer. In this message Ps James breaks down what took place at the house to house gatherings with the Breaking of Bread. Speaker: Viv Anson. Scripture: 1 Corinthians 14v26. Description: The prototype for building the early church in Acts 2v42 included the devotion to four things. Teaching, fellowship, eating together and prayer. Devotion means the 'relentless pursuit of', so God desires that we relentlessly pursue Fellowship. Find out how fellowship is the keeper for those seeking God and a place for those are looking for a place of purpose. Speaker: James Anson. Scripture: Acts 2:42-47. Description: We find out why the early church was so powerful. They devoted themselves to four key practices. Pastor James gives a practical message on how we can devote ourselves to the word of God and allow the word of God to become a rudder in our lives. Speaker: James Anson. Scripture: Matthew 4:19. Description: Have you ever been given a job to do but never really been shown how to do it? You muddle around knowing you are not really doing the job the way that it is supposed to be done. So many Christians feel like this. They love God but have not had any real discipleship or been shown how to follow Jesus correctly. The goal of the New Testament is for Christ to be presented a MATURE bride. The book of Hebrews warns us that many who ought to be teachers now need to return to baby food because they are still immature. Pastor James gives a clear presentation on progressing forward into maturity to the ultimate stage of being a spiritual parent - reproducing and parenting spiritual children as mentors and disciplers. Speaker: Georgie Ngaau. Scripture: Matthew 28:18-20. Description: Discipleship allows for us to gain a better understanding of God's word. His structure and righteous way of living. Equipping ourselves so that we may carry the right mindset to equip others. Laying down a firm and solid foundation within our faith towards Christ. Allowing us to become more Christlike & minded. (To think and act like Jesus). Speaker: Phil Richardson. Scripture: Acts 11:25. Description: The early church experienced a rapid and exponential growth as the Holy Spirit came upon them. The Holy Spirit X-factor promises to give an exponential multiplication of his anointing. We can expect to see a lift of this anointing in the end times. More miracles, signs and wonders....more anointing. Speaker: James Anson. Scripture: 1 Chron 4:10. Description: Dependence on God brings the touch of His greatness to our lives, where Nothing is impossible to them that believe. Jabez teaches us to ask God for his Hand on our lives and His protection from temptation. Speaker: James Anson. Scripture: Matthew 25:14-30. Description: The parable of the talents demonstrate how we can double the talents, opportunities Christ gives to us when we put them to work for God's glory. See how you can be a part of a multiplying generation expanding God's kingdom today. Speaker: James Anson. Scripture: 2 Kings 2. Description: Ps James Anson unfolds the prophetic word of "DOUBLE" over 2019. In this first installment we look at the double portion impartation from Elijah to Elisha and correlate some NT revelation of our relationship with the Holy Spirit in our present day. Speaker: Len Buttner. Scripture: Malachai 4:5–6. Description: The Lord is preparing us to release the spirit and power of Elijah in an extraordinary way in these last days. We are living in an exciting but challenging times and our prayers are that we will have eyes to see what the Lord is doing. We are looking at the ministry of Elijah and John the Baptist; with an understanding of the spirit and power of Elijah, and the operation of this ministry today. Speaker: James Anson. Scripture: Mark 12:30. Description: God created us for His pleasure, to enjoy us and love on us. Jesus told us how we can love him back by fulfilling two great commandments. This message calls us to RESET in our three core callings to love God, love others and love ourselves. Speaker: James Anson. Scripture: 2 Cor 9:15. Description: In this Christmas message Ps James lets us know why Christmas is so special. The Apostle Paul could not give words to how he felt about Christ except to say “Thanks be to God for this indescribable gift”. Speaker: James Anson. Scripture: Isaiah 9:6. Description: Many cannot understand the excitement of Christmas because there is an invisible wall between them and the manger. Walls such as Anxiety, Depression, Loneliness, addictions, etc. These walls stop us from experiencing the fullness of Christmas. Jesus Christ broke down every wall. Pastor James shares how God can do that for you. Speaker: James Anson. Scripture: 1 Chron 4:10. Description: Jabez had a difficult start in life. He unlocked an amazing future life by the power of ONE PRAYER. In part 2 of this prayer, Jabez encourages us to pray for ENLARGEMENT OF OUR TERRITORY. We define our territory and realm of influence differently to God. This message encourages us to live our lives in such a way that our influence goes far and wide. God granted Jabez his request. Speaker: Viv Anson Scripture: Jonah 1. Description: When God asks us to do new things, life as we know it changes to accommodate God and His vision. He doesn’t come into our world, we come into His world; Our world is limited, His world is unlimited. Our world is finite, His world is infinite Our world has impossible situations, His world is where all things are possible. Speaker: Stan Yeung. Scripture: 2 Timothy 2:2-7. Description: We often hear people say, “I don’t know what God calls me to do!”, “not sure where God wants me to serve in…” the problem is not God’s call, the problem is our response or lack of response to the call. Today we want to see what Paul said to Timothy in 2 Timothy 2, on how to respond to the call of God and how this can apply to our lives as well. Speaker: Frederick Muller. Scripture: Judges 6:11-22. To first be an overcomer on the outside we need to be an overcomer on the inside. In this message Freddie is looking at 3 confronting areas from the life of Gideon to help shape us all into an overcomer for God! Speaker: James Anson. Scripture: 1 Chron 4:9-10. Jabez unlocked God's blessing through the power of one prayer. He understood he could not fulfill his destiny without the Blessing. How to pray this blessing in our own lives. Speaker: James Anson. Scripture: Matt 10:38-39. ‘Spent’ – What does it take to make a meaningful life contribution to the Kingdom of God? This sermon examines the concept of being SPENT for God’s purposes through living a life of sacrifice and commitment to the kingdom of God. Speaker: Pam Muller. Scripture: Proverbs 23:7. Pam discusses three key areas that shape who we are and determine the influence that we have. Speaker: James Anson. Scripture: John 5:35. Pastor James outlines 3 categories every follower of Christ falls into: 1. No Ignition 2. Ignited 3. Igniters God's plan to bring the gospel to every people group in the earth can only take place through an ignited believer who carries the burden to ignite other's with the fire of the Holy Spirit. In this message Ps James shows us how this can be done. Speaker: James Anson. Scripture: Isaiah 41:17-20. Pastor James shares a prophetic word regarding a move of the Spirit that will sweep the spiritually empty and hungry into the kingdom of God. There will be outpourings of the Holy Spirit into desolate places bringing pools of water to the dry hearted and thirsty. The end result will be a great multi-ethnic army of God bringing great glory to Jesus! Speaker: Ps Peter Morton. Scripture: Ephesians 2:10. Ps Peter Morton from The River Christian Church in Pakuranga shares out of Ephesians 2:10 and encourages us to ‘show up’ and walk in all that God has prepared for us. Speaker: James Anson. Scripture: 1 Kings 9:26-28 & 2 Chronicles 20:35-37. Two Jewish kings at different times in history, both pursued ship building to progress their wealth and prosperity to bring home the gold. One was successful whilst the other wasn't. In short accounts from the books of KINGS and CHRONICLES we discover a principle that governs all our lives thousands of years later - WHO ARE WE ALIGNED TO and WHY? Speaker: Viv Anson. Scripture: Hebrews 11:1. We have no problem with God being able to do the impossible. But often, the question is 'How do I know that its God not me?' Faith ventures are born out of our conversations with God, not others or out of great sermons we have heard. He's the source, not the divine ingredient we add when we need an extra lift. Speaker: James Anson. Scripture: 1 Corinthians 9:24-27 & Hebrews 12:1-3. Apostle Paul gives an athletic analogy of running in your land in such a way so as to win. Hebrews 12 tells us of the greatest victory of all time - Jesus Christ dying and rising again. It also tells us how He did it. Speaker: Greg Simnor Scripture: John 8:43 & Mark 8:11-21. Jesus said you don’t understand what I am saying because you can not hear My Word. There is hearing and then there is true hearing and it is essential we hear the Word. Speaker: Frederick Muller Scripture: Psalm 63:0 & Philippians 3:7-8 In our christian living it is so easy to look for satisfaction & fulfilment in the blessings of God rather than Blesser. "If your satisfaction is misplaced it will be conditional rather than relational." Frederick teaches on letting go and knowing God more intimately so He can be the ULTIMATE CRAVING in your life. Speaker: James Anson. Scripture: Ezekiel 37:1-11 & 1 Thessalonians 5:8. Dry bleached bones, disconnected, cut off from his purpose. This is how God tells the story of Israel's condition to the prophet Ezekiel. He is told to prophesy to these bones and see a mighty army arise. Pastor James examined Verse 11 and gives solution to lost hope and connection. Speaker: James Anson Scripture: Mark 5:25-34 A certain woman with an issue...this woman had an unresolved issues of 12 years. She was distraught, seeking desperately for some answers. She heard about Jesus and with faith in her heart received a tremendous miracle into her body. What exactly are issues and how do they affect our lives? We all have some kind of issue or struggle in life but just like this woman we too can find a resolution in Christ. Speaker: Phil Richardson. Scripture: John 10:27 & Acts 4:38-40. Drum Beats are used by many African tribes to convey specific and clear messages to the world around them. As Christians we are living Epistles that God uses to convey His message to a very needy world too. What message are you conveying? Is it clear? And can people understand? Phil uses the African Proverb "There is only one crime worse in the desert, that is to know where water is and not tell of it." To provoke us on a daily basis to be more intentional and wiser with the message of our lives. Speaker: Viv Anson. Scripture: Ephesians 3:17-20. Have you ever wondered why it is that some people seem to soar ahead in their walk with God in such a short time and others can stay the same for years and years? Find out the simple solution that will help you make sense of it all. Speaker: James Anson. Scripture: 2 Samuel 6:6-12 & Proverbs 4:19. Potholes are never sign posted. They come suddenly, most often awkwardly. David hit a pothole bringing the ark of the covenant back to Jerusalem. It created great pain in his heart. He had to pull over on the side of the road and re-evaluate his journey. When you and I hit unexpected potholes in our lives we too need to pull over and assess the damage before moving on. Speaker: James Anson. Scripture: Ephesians 2:4-6 & Revelation 2:3-4. We have been raised together with Christ. Out of our state of being dead in trespasses and sins God has called us to rule and reign with him. This message sounds the alarm to the body of Christ to turn away from living in the COMFORT ZONE where spiritual danger lurks on every corner. Return to your FIRST LOVE. Speaker: Frederick Muller. Scripture: 2 Kings 6:15-18. We live in a natural world where the visible can sometimes distract from the invisible. God's called us to look with spiritual eyes to bring heaven's kingdom to earth. Looking at scripture let's look at what areas God wants our spiritual vision to be sharpened. Speaker: Viv Anson. Scripture: Acts 5:1-11 & Psalm 139:23-24. Being a follower of Jesus is all about being real, being honest. What does being honest mean? Its not about keeping up appearances, thats an old life we left behind. Being honest is about being straight up and transparent! Speaker: Georgie and Arnia. Scripture: 2 Corinthians 4:18. Georgie and wife Arnia, husband and wife tell the astounding story of their conversion to Christ. From a life of crime, drug use and prison - a remarkable story of God's love and grace emerges. A special highlight is a 10 min Rhyme by George - recited by memory - of the War story and Love story that has bought them to this moment. Included are two home grown songs by Georgie. Speaker: Phil Richardson. Scripture: Acts 4:36 & 1 Thessalonians 5:5. Everyone loves to been encouraged. Ps Phil, Show how one man's encouragement (Barnabas) Triggers a domino effect that is catalyst a world wide mission movement. Generosity and Encouragement. Encouraging one and other and building each other up, is a vital key to a Rising Tide of what God is doing in and through the church. Speaker: James Anson. Scripture: Proverbs 3:9-10 & Malachi 3:7-12. Continuing from PART ONE Pastor James issues a call to all Christians to RECONCILE their Financial lives to Christ. This requires honesty and transparency. In this segment we look a little more closely into the 10-10-80 principle. Speaker: Pam Muller. Scripture: 2 Corinthians 3:5 & Ephesians 2:8-9. God has qualified you to live a life of fullness. Pam talks about 3 areas that can hold you back and the breakthrough that God has waiting for you on the other side! Speaker: Viv Anson. Scripture: 1 Samuel 25:1-44 & Proverbs 14:1. Conflict, whether in marriage, amongst friends or work colleagues must be handled with wisdom. By wisdom - Abigail saves a household from poverty and extinction and a future King from ruin. Apply these same principles to resolving conflict. Speaker: James Anson. Scripture: Proverbs 30:7-9 & Philippians 4:11-13. Money! How does that word make you feel? We all need a reconciliation in our hearts with God for our sin, but we also need to reconcile our money with God as well. Pastor James does PART ONE on a two part message on the WISDOM series to tackle the issue of money and our relationship to it. Speaker: James Anson. Scripture: Ephesians 5:15-16 & Psalm 90:12. Having trouble fitting it all in and trying to make life work right now? Pastor James brings a message on how the Wisdom that God grants to us simplifies and brings focus to keeping the main thing the main thing. Speaker: James Anson. Scripture: Matthew 25:1-13 & Luke 10:38-42. Jesus told a story about 10 virgins waiting for the Bridegroom. 5 were labeled foolish because they had empty vessels. They were unwise because they were depleted and unprepared. Pastor James gives keys to move from a state of depletion in your soul to a place of Replenishment. Speaker: Peter Morton. Scripture: Ephesians 4:17-24 & Romans 12:2. As Christians we often tell people that "Jesus Is The Answer!" - but when we've been walking with Him for a while, sometimes we can forget that He's STILL the answer for our lives. Ps Peter Morton shares a vital key to finding the life-giving presence of God, and how to stay on fire all the days of your life. Speaker: Moses Largado. Scripture: Matthew 4:4. No matter how good your earthly Father was, we all need to discover connection to ABBA FATHER. The devil has orphaned the human race and God is in the business of connecting our hearts back to Him. Moses shares a series of visions that God unfolded to him and broke the back of his former addictions and connected him to the Father heart of God enabling him to hear and obey God. Speaker: E-Wan Largado With a rare honesty E-Wan shares her journey to freedom in Christ from sexual addictions and confused sexual identity. In a frank but refreshing testimony the path to freedom is shared with us. Speaker: Moses Largado Scripture: Romans 13:7 To whom we give fear away, we become slave to that thing. God has set us free through the cross of Jesus Christ. Fear brings hooks into our heart and leads us into slavery. Moses shares the secret to freedom from fear. Speaker: Richard Brunton Scripture: Luke 4:18-19 We all have wounds because we live in a broken world with broken people who don't know how to love others. Heart wounds limit our capacity to receive love from our Father, and from others, and to love others. And this in turn limits our ability to step fully into our amazing potential in Christ. Speaker: Frederick Muller. Scripture: Ephesians 3:16-19. Being filled with the Holy Spirit is not just a one time deal. Discover God's purpose for you by having a life of power through continually being filled by the His Spirit. Speaker: Phil Richardson. Scripture: Luke 1:1-3 & John 18:36. The early disciples, were all Under Oarsman. Phil explains how as Disciples, we are all called to the Work of the Ministry. The word Huperetes (Gk) translates as Hupo (under) Eretes, (a rower). These disciples were free men, not bond slaves. The emerging church is a powerful church, where each member is a contributor not a consumer. Where each member has an oar and is using it. Speaker: Greg Simnor. Scripture: Romans 8:13 & 2 Corinthians 12:7-10. Only when we are weak are we truly strong. We are not to live by the strength of our flesh, but by the strength the spirit provides. Speaker: James Anson. Scripture: Psalm 27:4-6 & Habakkuk 3:19. Strength is not optional as a believer. We either choose to walk in our own strength or we understand that God's strength is available to every believer to walk in. In this message Pastor James describes how we can access God's strength in our lives and become 'clothed with Strength' by holding our GAZE upon the LORD. Speaker: Len Buttner. Scripture: Joshua 1:6-7 & Matthew 25:1-13. First Len brings a prophetic encouragement to all Christians on God's strategy for defeating our enemies. Joshua at Jericho. Then Len shares God's heart to bring long lasting revival to our nation and the nations of the world. The Bride needs to ready herself as the 5 wise virgins in Jesus parable set themselves to be prepared. Three points are given on how we can best ready ourselves for what God is going to do. Speaker: James Anson. Scripture: Psalm 92:12 & Acts 2:46-47. Life as a Christian is not intended to live in rows only, attending a Sunday service. Rather God calls us to live in a circle, face to face, allowing ourselves to love and be loved by others. Can we trust God to allow ourselves to be known and cared for by others? Speaker: James Anson. Scripture: Joel 3:10 & Romans 12:2. Joel 3:10 Let the weak say, ""I am strong""! A lesson to learn sooner than later is the fact that we cannot change our behaviour until we change our thinking. The good news is that God says we can be transformed by the renewing of the mind. In other words we can change into a Stronger person by training our minds to think the right thoughts. In this message Pastor James shares 3 keys to renewing our minds to become a Stronger person. Speaker: James Anson. Scripture: Joel 3:10 & Isaiah 42:3. We miss so many opportunities because we are too often buried in our weaknesses. The bible says ""Let the weak say I am strong"". Pastor James gives us a key trait of maintaining STRENGTH in our lives - the willingness to be FLEXIBLE. Speaker: James Anson. Scripture: Joel 3:10. The bible teaches that humans are inherently weak. But through the cross of Christ - Jesus has made His strength available to us. God sends us 'strength builders' along the way to develop strength in us. One of the ways God builds strength in us is through the resistance we push against. Pastor James elaborates on why resistance is so important to us becoming Stronger. Speaker: James Anson. Scripture: Matthew 2:9-11 & Luke 2:7. The Nativity scene doesn't change - it is etched into history. Pastor James asks us to go beyond the familiarity of what we know and take a zoom lens and examine the scene a little closer. Speaker: James Anson. Scripture: Isaiah 9:6 & Ephesians 2:14. 'Unto Us' a child is born and a Son is given. Jesus birth was a gift to the world with the purpose of breaking down every wall of hostility between us and God. In this message Pastor James describes the walls that Christ came to pull down and reveal Himself as the Prince of Peace. Speaker: James Anson. Scripture: Exodus 14:1-15 & Proverbs 18:10. Have you ever wondered how much God may have to do with times in our lives when we find ourselves backed into a corner with seemingly nowhere to go? Pastor James shares the story of the children of Israel being backed into a corner up against the Red Sea with nowhere to go. What is God doing in our lives in moments like these? Speaker: James Anson. Scripture: Habakkuk 2:1-3. As followers of Jesus we are all called to carry a dream in our hearts, not just any dream - God's dream..His vision for our lives. In PART TWO Pastor James describes in detail how to 'watch' in prayer and 'write' the vision so you can run with it. Speaker: Viv Anson. Scripture: Colossians 1:28 & James 1:21-25. How many times over this year has God spoken to us yet we have not done what God has said and have not embarked on the adventures that He planned for us? Can we say at the end of this year, I am complete, having done all that God has asked me to do? Speaker: James Anson. Scripture: Habakkuk 2:1-3. As followers of Jesus we are all called to carry a dream in our hearts, not just any dream - God's dream..His vision for our lives. Going to the book of Habakkuk, Pastor James takes us on a two part journey to discover this amazing dream. Break Free of Religious Control! Speaker: Frederick Muller. Scripture: Malachi 6:6 & Galatians 5:1-6. Our religious approach to Christianity limits us as children of God. Learn how we need to be empowered in His Grace to live a FULL life! Speaker: James Anson. Scripture: John 17:25-26 & Luke 15:1-31. Creating and sustaining a level of fire and passion for God is not easy. Life can be like a roller coaster at times. Pastor James unfolds the Parable of the Prodigal Son to reveal a hidden secret to connecting to the LORD to enable a relationship with God that sustains the Fire of God. Speaker: James Anson. Scripture: John 4:35 & Isaiah 6:1-8. God has given us all the equipment we need to win the world. Four voices cry out to us in scripture - calling us to reach our world with God's Love. Speaker: Phil Richardson. Scripture: John 10:27 & Acts 9:10-18. Winston Churchill, knew he had a unique destiny to fulfill. He was an agent of change conquering natural forces. The church now faces supernatural forces for real, sinister and deadly. 1. How do we hear and respond to God's Voice?. 2. How do we discern what is real and what is counterfeit? Phil uses the illustration of Nipper a young British terrier, leant to listen his master's voice. He became RCA Victor and the Gramophone Record company trademark and logo to inspire us. While helping us set personal goals for the coming year. Speaker: Lai Sin Wong. Scripture: 2 Peter 3:11 & 2 Peter 3:12-18. How should we be living now considering what God's Word says about the future? Ps Laisin looks at some key areas in 2 Peter which can help shape our future. Speaker: Viv Anson. Scripture: 1 John 2:12-14 & 1 Corinthians 4:15. You have 10,000 instructors but you have not many Fathers. Apostle Paul addresses the elephant in the room. Many can teach but growing the family of God is more than imparting knowledge. It is caring, growing and feeding the little children and young men and women of the faith. God is raising up and calling the mothers and fathers in the body of Christ to step forward and minister God's love. Speaker: James Anson. Scripture: Hebrews 12:1-3 & Romans 5:18-19. The Holy Spirit is sending out a prophetic call for the church to DIVEST herself (throw off, discard, eject) of all that hinders and the sin that entangles us with distractions from the call of God. Pastor James shows us HOW the scripture equips us to do so. Speaker: James Anson. Scripture: Matthew 10:38 & Acts 9:10-19 Jesus rested his mandate to his followers on two words: to SERVE and to Give into the lives of Others. Before Christ we often are SPENT and consumed with an empty life. God calls all believers to be SPENT LOSING OUR LIVES FOR His sake. Speaker: Phil Richardson. Scripture: Ezekiel 36:24-28. God is in the Restoration Business . He also is in the Business of do Miracles. Two of which Ezekiel jointly saw 2500 years ago. Israel Restored a Nation: 1917 begin their return and in 1948 after 2000 years of global exile. God reinstated them once again their own land. Hearts of stone, becoming hearts of flesh? God gives us Spiritual Heart Transplants through the school of hard knocks and adversity. Speaker: James Anson. Scripture: 1 John 4:7-8 & Luke 3:21-22. In a world that has been orphaned spiritually - people are longing to know the love of a Father. Through the Cross of Christ - this has now been made a reality for Christians to connect to the Love of God in a powerful tangible way. Pastor James leads us to the Father's Love. Speaker: Greg Simnor. Scripture: Luke 9:51-56 & Matthew 26:6-13. The bible teaches us that we are His workmanship created in Christ Jesus for good works, which God prepared beforehand so that we would walk in them. Works prepared beforehand. Just like we were all chosen before than foundation of the earth, so are the works that we are to walk in. These works come from the realm of faith. Faith is intrinsically connected to our relationship with Jesus. It's not enough to do any work from our intention but they must be a good work of faith from the Father, that has already been prepared for us. This is vital for our relationship with Christ as His people. Speaker: James Anson. Scripture: 2 Corinthians 5:8-11 & 1 Corinthians 3:10-15. Every believer will stand before Christ to give an account of how they have spent their lives since receiving Christ. Our words, deeds and private motives will all come under the scrutiny of the just Judge - Jesus Christ. It's time to live with an ETERNAL PERSPECTIVE TO-DAY so we can receive rewards on THAT DAY. Speaker: James Anson. Scripture: Hebrews 6:1-2 & Revelation 20:11-15. Is Hell a real place? If so - how could a loving God send anyone to a place like Hell? Who will be in hell and how will the end of the world unfold coming into the final judgments? Speaker: Len Buttner. Scripture: 1 Peter 1:7 & Proverbs 16:6. A season of Awakening to the fear of the Lord is coming back to the church of Jesus Christ. This is building a foundation for fresh fire of God to grip our lives for God's kingdom expansion and His glory. Speaker: Phil Richardson. Scripture: Matthew 6:33. The Church is not a chicken coop, it should be free range. God wants his church to be 100% Missional. Why then do churches not make Missions a priority? How do we take what God puts into our hand to reach our World? Toothpaste stops tooth decay, our lives need to be dispensed each day to prevent Spiritual decay and bring health to our environment. Speaker: Frederick Muller. Scripture: Psalm 139:23-24 & Jeremiah 29:11-14. Living by Faith and not by Feelings. Our past can have an affect on us moving forward in God. We need God to bring emotional healing so we can move from emotionally based decisions to faith filled decisions. Speaker: James Anson. Scripture: Colossians 1:27-28 & Hebrews 5:12-14. Apostle Paul laboured with the Spirit working mightily in him for ONE PURPOSE: to present every man MATURE to Christ. What is the process and pathway to Maturity in Christ? From being a MILK CHRISTIAN to a MEAT CHRISTIAN. Speaker: James Anson. Scripture: Luke 12:13-21 & James 4:13-17. Jesus addresses a man who wants to receive Jesus help to get his family inheritance. The advice births a sermon on the danger of Greed. Greed comes in many subtle forms and can box God out very quickly and relegate Him to second place. Pastor James takes us through the steps we need to be truly rich toward God. Speaker: Viv Anson. Scripture: Joshua 6:2-10 & Numbers 13:1-33. The fulfilment of God's promises depend on our cooperation. In order to win we must learn from the past. Speaker: James Anson. Scripture: Colossians 3:1-10 & Colossians 1:9-10. Living on purpose, out of the design of God over your life will require outcomes that have been birthed in the MIND of CHRIST. We have the mind of Christ - but so often have it sabotaged or drift back into plugging in 'old CDs' from our old life that have drastic consequences. Ps James outlines how we can 'set our minds on things above' and gain heaven's perspective to carry out God's work here on earth. Speaker: Phil Richardson Scripture: 1 Peter 4:10 & 1 Corinthians 12:31 God always has more for you. This includes more Spiritual growth and Gifting . Phil explains how God fashions us uniquely with great intent. Each of us has at least one Spiritual Gift. We can also desire and have addition gifting. We need to stir up & use these gifts since we have to give an account one day for what God has given us." Jesus Christ made some clear cutting statements regarding life after death in eternity. Some of these need closer attention. When we fully understand how we our lives here on earth has a HUGE impact on how we live in eternity - we gain fresh motivation to serve Jesus on his terms. Speaker: Phil Richardson. Scripture: Matthew 13:47-51. Ps Phil links the discipleship themes woven into the Book of Nehemiah., Highlighting the Fish Gate (Damascus Gate) to Evangelism and Mission and our need to be fishers on men. And the Thrill of leading people to Jesus. Speaker: James Anson. Scripture: Romans 8:19 & Genesis 1:26-28. God's chosen method to work on the earth is Father and son. Understanding Sonship is crucial to unlocking the Father's Heart in the church of Jesus Christ. Speaker: James Anson. Scripture: Acts 1:4-8 & Isaiah 30:1-3. Jesus told is disciples not to attempt any ministry until they had first waited to be immersed with the Holy Spirit. On the day of Pentecost the Holy Spirit was poured out and the early church was born. What happens when we fail to work in partnership with the Holy Spirit? How can we make an alliance with the Spirit? Hear it all in this message today. FaithPointe Values - 3 - We will laugh hard, loud and often. Speaker: Viv Anson. The biggest question that the world is asking today is ""Who am I"". Only the courageous will be able to embark on this journey to finding out. Speaker: James Anson. Scripture: Hebrews 11:1 & Romans 10:17. God has called us to live by Faith and put our Trust in Him. We don't want to live our lives by insulting the greatness of God by small thinking and safe living. Speaker: James Anson. Scripture: Romans 1:13-14 & John 20:21. In this vision and values series Ps James breaks down what it means to be a Spiritual Contributor. There is a strong prophetic warning in this message to shift out of the Consumer mentality that is trying to sway modern church mindsets. Speaker: Selwyn Clark. Scripture: Matthew 17:14-21. God the father is calling us into a deeper and more faith filled life that will unlock purpose in him and invade your world...Faith, Hope, Love, the key to Abundant life!! !